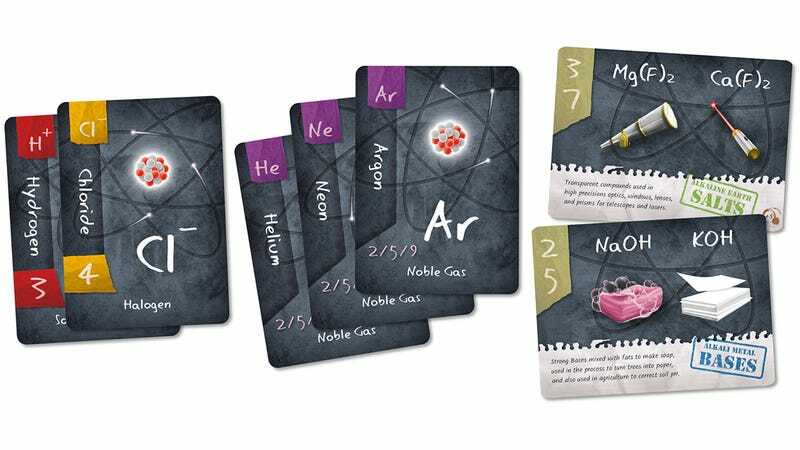 Putting “I won three games in a row” on your resume probably isn’t going to get you in the door at Dow Chemical, but a new card game called Ion that has players attempting to make compounds using the element cards they’ve been dealt could certainly be a solid first step towards getting your PhD in chemistry. At the very least, the fast moving game could be a great way to introduce kids to the Periodic Table, or give adults a refresher course on the high school science they’ve long since forgotten. Do you remember what ‘Cl’ or ‘Ar’ stands for? You will after playing Ion. To get your hands on a copy you’ll have to donate to the Ion’s Kickstarter campaign, though. It was attempting to raise $7,500 to help put the game into production, but to date it has managed to secure $62,000 from backers so it’s a safe bet you’re not taking that much of a risk with your own $19 donation to pre-order one.